When it comes to siding your home, nobody does work like our crews, period. We've one national and regional awards for our work and we specialize in historic restoartion. We are a family owned and run exterior home improvement company. We believe in taking care of our customers no matter what the cost.. We have installed gutters, roofing and done construction for over 40 years, installed siding and windows for over 25 years and installed metal shingle roofs for 13 years. We have experience in all aspects of exterior remodeling and also have several employees with 20 plus years of construction experience. We specialize custom work and take on the jobs most companies don't want to do. Mentor Installed Services, a division of Mentor Lumber, was established in 1993 to provide builders and home owners in northeast Ohio with reliable professionally installed trim, doors, cabinetry and custom millwork. 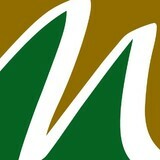 We are an authorized dealer and installer of James Hardie Siding and building products. Why we’re “Simply The Best” Quality Products Custom Home Improvements has been installing vinyl replacement windows, siding and gutters for over 60 years and has established a sound reputation for its innovative vinyl windows, commitment to quality and professional installation. From start to finish we offer a level of customer service that is unique in the home improvement industry. Installation and Service One thing you can always count on when you select our windows for your home – our professional window and door installation team will meet or exceed your expectations by making sure that every Custom Home Improvements product is properly installed. We do not subcontract. Customer Referrals/Testimonials We put a lot of stock in what our customers have to say about their experiences with our product and installation. Our customer surveys give us valuable information, which we use to continually improve our products and services. Our Team From sales to installation, you will find that Custom Home Improvements is a company which is defined by the quality of its people as much as it by the quality of the product and service we deliver. Every employee is a member of our quality control team. Welcome to the Home Appeal difference! After working for other home improvement companies, I decided I could do a better job for my clients if I started my own company. 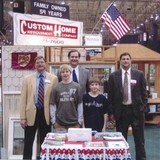 So in 2003, I established Home Appeal. No longer do I have to rely on the bureaucracy of the big-box companies which often led to an unsatisfied process for the homeowner. I personally hand-select all of our products from literally hundreds available. Our products are designed to provide years of maintenance-free operation, dramatically lower energy costs, and substantially increase your home’s curb appeal. Our factory-trained installers are experienced and dedicated to providing professional-quality installation. Our manufacturers are right here in northeastern Ohio, keeping our friends and neighbors employed. Our products are also backed by a lifetime manufacturer’s warranty. 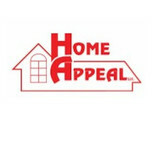 As the owner of Home Appeal, I am dedicated to providing you with an enjoyable, hassle-free experience. Home Appeal specializes in exterior remodeling, including siding, windows, doors, insulation, and roofing. Call today for a free, in-home estimate with the owner. A Kelch Construction is an Ohio-based residential and commercial construction company that specializes in exterior home remodeling. We provide quality, reliable workmanship to fit the needs of each and every customer. The Siding & Insulation Company specializes in providing siding and insulation in Cleveland and for Northeast Ohio. We offer a complete line of vinyl siding, blown-in insulation, complete roof and attic ventilation, roofing, replacement windows and doors, storm windows and doors, window and patio awnings, railings, shutters, gutters and downspouts. Airko is a family owned and operated business assuring you the finest quality of materials and workmanship with over 55 years of experience. See for yourself in the Owens-Corning Great Exterior Makeover. ProCon Exteriors is a company specializing in metal & shingle roofing as well as vinyl siding. 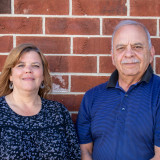 We are based in Kidron, Ohio next to Lehman's, establishing our business as a local contractor committed to integrity within the heart of an Amish and Mennonite community. Pristine Clean is a full-service power washing company that faithfully serves Northeast Ohio. We offer house washing, roof cleaning, concrete washing/sealing, and deck/patio cleaning. The company got its start in 2010. Since then we’ve rapidly grown to be an authority in the Northeast Ohio power washing industry. Our philosophy is simple: focus on our great customers and employees, and the experience will be off-the-charts. We start with our customers. We are a small fish kind of company. Sure, the big contracts are great, but the life blood of Pristine Clean is our thousands of customers, who we know by name. Our sales associates stay in regular contact, and always aim to be helpful, transparent, and never pushy. Our sales experience is described easily with one word. Refreshing. The Pristine Clean Team is so confident in our service, that we never want our customers to feel anxious. Finally, all technicians hired on to our team are employees. We never use subcontractors. Our techs are trained, tenured, and friendly. Expect them to show us with a professional uniform, beautifully branded box truck, and state-of-the-art equipment. Techs call before and after the service. They walk each customer through the job, providing description and detail to the work provided. Feedback is essential. So, from start to finish, Pristine Clean is diligent to provide the best service available. Working closely with our customers, technicians, and sales associates guarantees that we get better every day. That makes us happy. When we say we want to provide the best customer experience around, we mean it. Pristine Clean holds multiple certifications through the PWNA in house and roof washing, along with concrete washing and sealing. Die Hard Exteriors has been serving your neighbors and friends in Lake & Geauga counties for over 25 years. We are not just siding installers, we are professional vinyl technicians with an Impeccable reputation, Quality second to none & the credentials and schooling to back them up. Integrity Windows & Doors founder, Cary Slabaugh is a life time resident born and raised in Cleveland , Ohio and has been working in the Window industry for over 15 years. While getting his start with a national window company, he quickly learned that implementing new ideas and trying to make changes was very frustrating. A few years later Integrity Windows & Doors was founded. The name Integrity was chosen to represent the company's desire to stand out in the industry as one you can trust to be fair and honest. In an effort to control costs, Integrity Windows & Doors does very little in the way of advertising, but when we do advertise, we pledge to never falsely inflate prices and then use huge phony discounts to sell our products. If it's a good price today, it should be a good price next week, month or year! Our client base continues to grow because of our straightforward way doing business; as a result an overwhelming number of our customer base is made up of referrals and repeat clients. Integrity has a simple formula for success, fair and honest pricing, quality windows & doors manufactured by Polaris Technologies, company who has been in business since 1944. And using professional installers who will leave your home or business more beautiful than they found it. It's that simple! If you would like to learn more about purchasing replacement products from us, you call or click to schedule a very educational, free in-home consultation that will last about 30 minutes. For over 20 years, Creative Innervisions, Inc.has been building high quality structures. Founded in 1989 by Richard and Anthony Kinsinger, Creative Innervisions, Inc. merged a wealth of experience and skill into a company that would earn a remarkable reputation as a leading builder of pole building style structures. Rick and Tony combined their strengths to create an unbeatable force in construction. They promised at the time they decided to launch Creative Innervisions, Inc. that they would always operate with a quality foundation of unwavering ethics and quality workmanship. With over 28 years of experience in home improvement, we at NORTH COAST BUILDERS, INC. are committed to offer you the highest quality materials and craftsmanship at fair prices. The work that you are about to have done on your home has been proven to increase the value of your home, lower your fuel bills, eliminate maintence, and enhance the beauty of your home. By choosing NORTH COAST BUILDERS, INC. to do your home improvement projects you are placing your trust in us to do the job right the first time. Our goal is to ensure that you, the homeowner, experience a trouble free and enjoyable job that you can be proud of. We have been on the honor roll on Angie's List and have an A+ rating with the Better Business Bureau which has received one complaint about us in the past 13 years. Truly this is a record that we are proud of and strive to maintain.As owner i am personally on the job daily to ensure that the work you have hired us to do is exceeding your expectations.Our ultimate goal is to have you as a customer for life. we like to think we do business the old fashion way, WE EARN IT. What types of siding services do Parma Heights exterior contractors provide? Wood siding needs more maintenance than less-expensive, low-maintenance vinyl siding, but with proper care it will outlast vinyl siding, which can fade and crack over time. Your Parma Heights, OH contractor might also suggest fiber cement siding, which is fire resistant and termite-proof and can come with a warranty of up to 50 years. 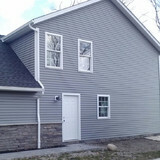 Find siding and exterior contractors in Parma Heights, OH on Houzz. Narrow your search in the Professionals section to Parma Heights, OH siding and exterior contractors. Find out how long a Parma Heights, OH exterior remodeling contractor has been in business, view portfolios, read reviews and get contact information.